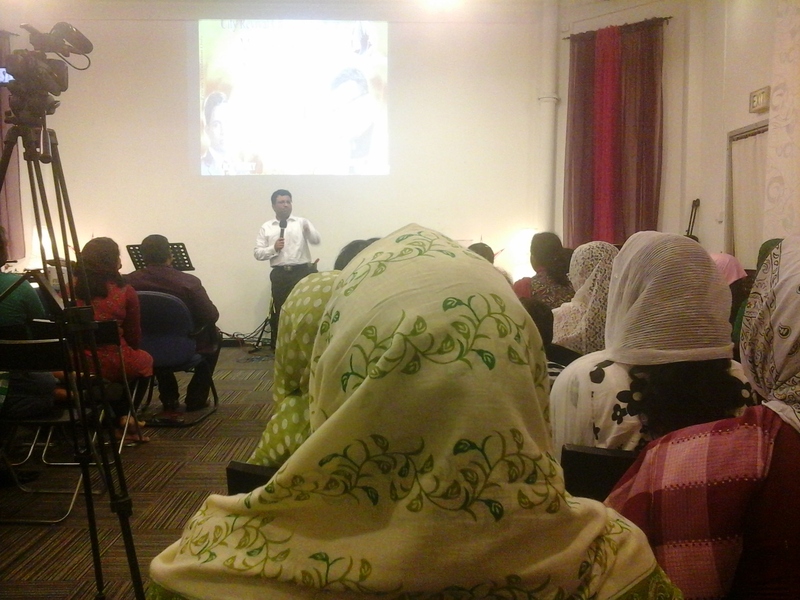 On 12th May 2014, 7:30 pm, Monday, I attended a powerful session by Pastor Anison K Samuel, organized by the City Revival Ministries, Singapore. The meeting started with beautiful praise and worship. The Presence of God was beautiful during worship. Pastor Anison K Samuel shared the sermon, quoting Acts 10:38 38 How God anointed Jesus of Nazareth with the Holy Ghost and with power: who went about doing good, and healing all that were oppressed of the devil; for God was with him. God filled Jesus, who was completely man, known as Jesus of Nazarene, with the Holy Spirit. When the Holy Spirit descended on Jesus, He started doing miracles. In the similar way, we must be filled with the Holy Spirit and Power. The Power of God is associated with the Holy Spirit. Where there is Holy Spirit, there is Power. Galatians 3:5 5 He therefore that ministereth to you the Spirit, and worketh miracles among you, doeth he it by the works of the law, or by the hearing of faith? When you have the Holy Spirit, you will have Dunamis – The Power of God. When Mary was filled with the Holy Spirit, what was impossible with man became possible with God. Because of Power, there are miracles, deliverance and even the ability to gain wealth. No opposition can stop the Power of God. This entry was posted in Malayalam Fellowship and tagged Pastor Anison K Samuel. Bookmark the permalink. Wonderfull Message, Pastor May God Bless You. May I know Anison Pastor’s contact number?